This tool draws regions with straight edges. It is deprecated in favor of the Spline Tool which can draw straight edged polygons and also curved shapes. Note that the edges can cross each other. When they do, the Winding Style Parameter comes into play. Invert : Whether invert the create(d) layer(s). Is related to his Invert. 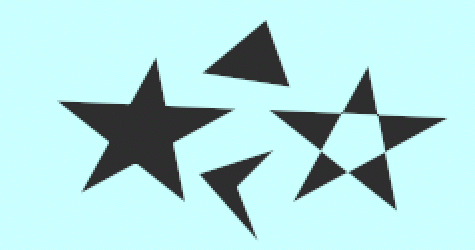 Just click over the different corners of the polygon. Using the gear "Make Polygon" button at the bottom of the Tool Options Panel. 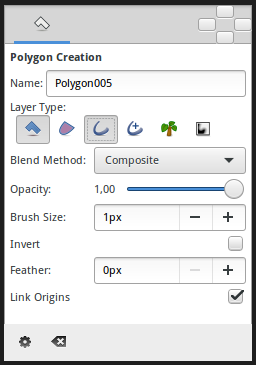 The "Clear Current Polygon" button at the bottom of the "Tool Options Panel" could be used to clear the current polygon. This page was last modified on 7 March 2016, at 19:22.